ALFA is short for Anonima Lombarda Fabbrica Automobili and was founded in 1910 in Milan Italy. Acquired in 1915 by Nicola Romeo, the name was changed to ALFA Romeo in 1920. Under Enzo Ferrari, Alfa was a major force in racing between the two World Wars. ALFA road cars were noted for their styling and technology. 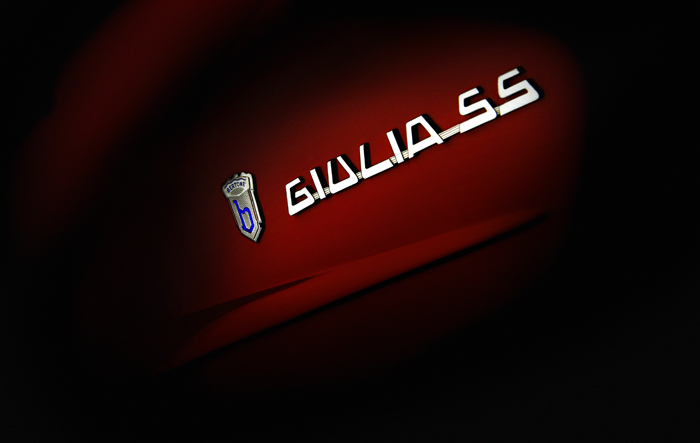 The Giulia SS, with coachwork by Bertone, was the only style carried over from the Giulietta Series with its aerodynamic styling, large engine, and disc brakes. It became an impressive performer. The Sprint Special has a 1600cc displacement, overhead valve, 129 horsepower, inline four-cylinder engine.